The HSC171 professional closed, on-ear studio headset provides extraordinary noise insulation, perfect for use in loud environments. 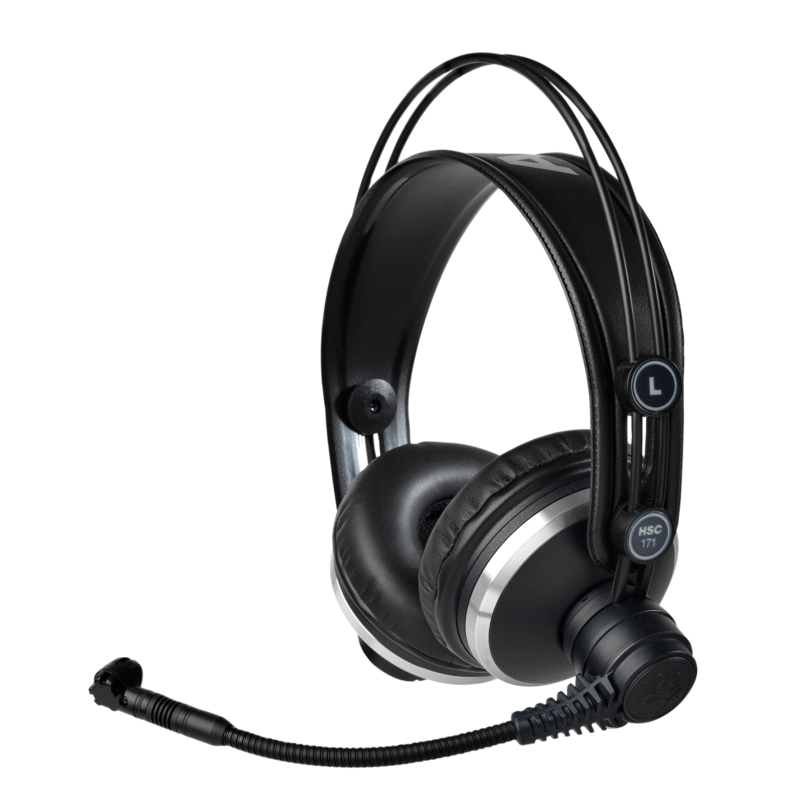 The headset combines the K171 MKII studio headphones with a high-performance condenser microphone. The flexible microphone arm mutes the microphone automatically as it is moved up. The microphone can be mounted to the left or right side, depending on personal preference and available space. The HSC171 features a switch in the headband that mutes the audio just as soon as the headphones are taken off. The professional six-pin mini XLR connector allows quick replacement of the cable.